Deedee's Digis: Something yummy for my tummy!! Something yummy for my tummy!! Yep, that's the theme, something yummy to eat or drink, over at Chocolate, Coffee & Cards Challenge. I love that the challenge allows you to make any type of card as long as it has something to do with food or drink. Donna went with a winter hello while Deedee made a generic hello! 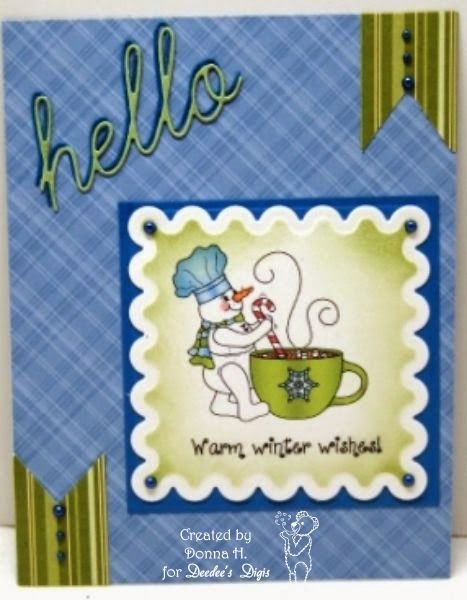 Funny how they both made "hello" cards that had to do with food!! I guess pizza and hot chocolate are good things to bring friends together for a good chat. 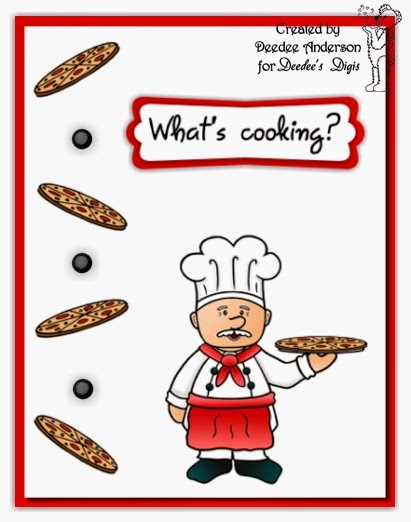 Come play with us we would love to see what type of card you make that has to do with food!